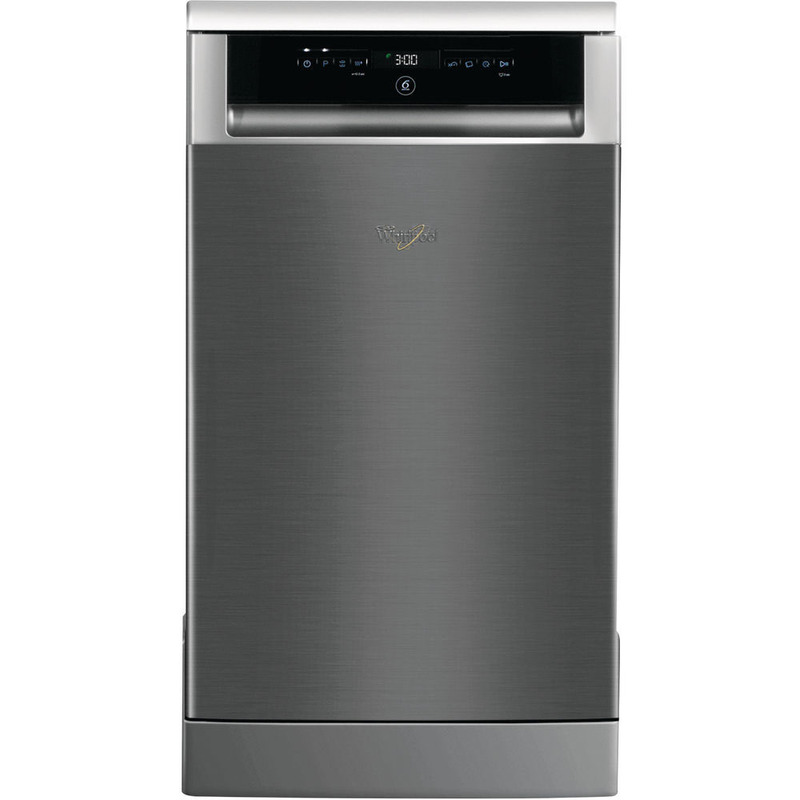 The Whirlpool ADP502 IX UK dishwasher in stainless steel has 10 place settings and an A++ energy rating. There are 8 programs. These include Eco (Standard program, the most efficient in terms of its combined energy and water consumption), 6th Sense (will detect level of dirt and adjust program accordingly), 1 hour wash, rapid 25 minute wash, fragile 45 (cycle for delicate items, which are more sensitive to high temperatures), pre-wash and intensive 65 (for heavily soiled crockery, especially suited for pans and saucepans). Get the most out of each wash cycle using the adjustable upper rack system, this allows the upper basket to be repositioned when cleaning larger items like pots and pans. Your Whirlpool dishwasher provides a third rack: the ideal solution for additional loading capacity. Turbo drying technology allows you to reduce cycle time on selected programs giving up to a 12% time saving, additionally the extra dry option also allows you to extend the drying cycle improving the level of dryness.